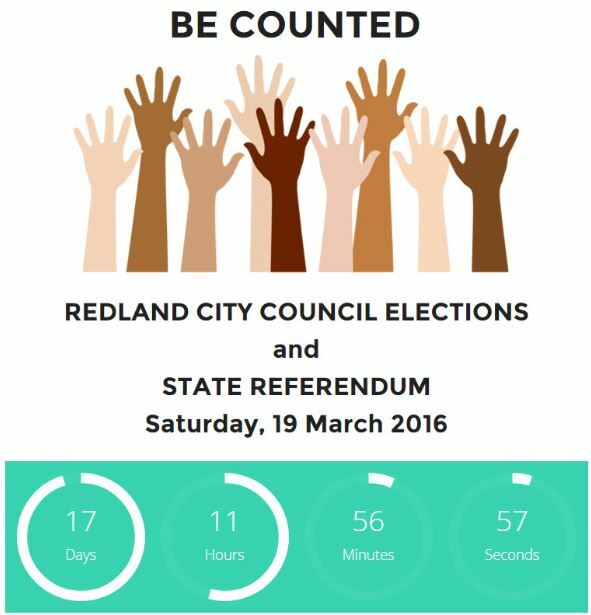 Two weeks to go for the Redland City Council elections and state referendum on 19th March 2016. Do you know yet who are the candidates in your Division? Are you even enrolled to vote this time? And which polling booths are available for you on the day? These information are now available at MoretonBayIslands.com. These are overlaid with information about the candidates: their background; how to follow them in social media and catch up with them on the campaign trail; their plans if elected to Council (and for the incumbents, their accomplishments to date); and how to contact them. Finally, obtaining information about your candidates has just gotten so much easier. These candidate information are assembled in a (free) one-page website-within-a-website for each candidate, who can use the site as a channel to reach their constituency. 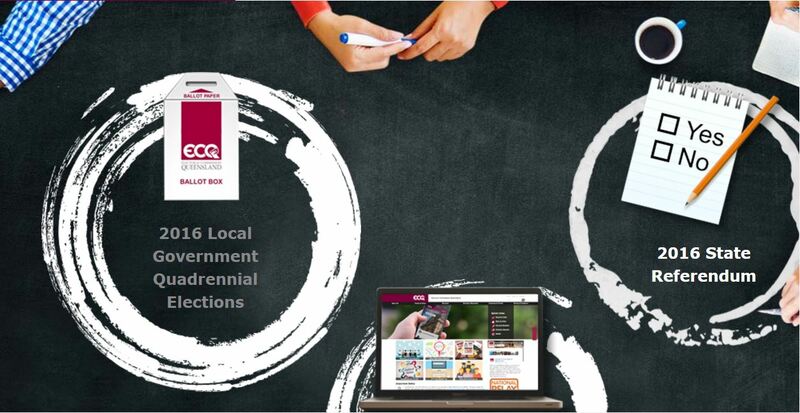 Conversely, electors can reach their candidates through the site. Both sides come together in one place (albeit virtually) for a direct dialogue (Q&A). We have reached out to the candidates to complete their one-page profiles on the site (contact us at election2016@moretonbayislands.com). Many electors are still seeking information about their candidates. The site seeks to provide them with the information they need for an informed decision on election day. Use of the site is free to all. Feb. 16, 2016, 2:59 p.m.
TWENTY-Nine people have been nominated to run as candidates for Redland City Council in next month’s local government election. Returning officer Harold Guy, who has been running elections in Redlands since 2012, said candidate nominations were slightly up on the last election. Nominations for the council’s 10 seats and mayor closed at midday on Tuesday. Candidates will learn where their names fall on ballot papers when Mr Guy draws names out of a box at 10am on Wednesday. Mayor Karen WIlliams and former council general manager Greg Underwood were the only two candidates for the position of mayor. When electoral rolls closed on Friday, February 12, there were 101,714 people registered to vote on Saturday, March 19. That was up from the 93,402 people registered for the 2012 local government election. Division 6 had the most number of voters registered with 10,953 and Division 9 had 9852 registered, which was the smallest electorate. Across the city, there were 52,974 women enrolled compared with 48,740 men. Two candidates will challenge sitting councillor Wendy Boglary, 54,who has held the seat since 2008. Wellington Point real estate agent Paul Branagan, 49, who was granted Australian citizenship in 2006 and 48-year-old housewife Corinne Tomasi. Two candidates will challenge sitting councillor Craig Ogilvie, 50, who has held the seat since 2004. He will be up against Cleveland physiotherapist Peter Mitchell, 51, and computer analyst Tom Taranto, 58, a founding member of Redlands 2030 lobby group. This seat has attracted four candidates – the largest competition across the electorates. Incumbent Kim Hardman decided not to run again. Penny Donald, 45, who once worked for Bowman LNP MP Andrew Laming, will be up against artist Troy Robbins, 46; consultant 62-year-old Karyn Owen and retired army officer and project manager Paul Golle, 45. Sitting councillor Lance Hewlett, 54, will be up against retired real estate agent James Harling, 61. Sitting councillor Mark Edwards will recontest the seat he has held since 2012 with a challenge from Redland Bay artist Junita Grosvenor, 58. Melanie Lavelle-Maloney, 50, a former council business contract holder will challenge incumbent Julie Talty, 50, who is the daughter of former councillor John Burns. The other runner is Redland Bay scientist Stephanie Eaton, 55. Incumbent Murray Elliott, 61, has been a councillor for more than 20 years and will recontest his seat, taking on Wellington Point swimming coach Janine Healy, 46, and Sharyn Doolan, 50, who does radio voice-overs. Sitting member Alan Beard, 65, who acted as deputy mayor during the past term, is being challenged by the ALP’s Tracey Huges, 54, and former councillor Kathy Reimers, 49. Metallurgist Jesse McNamara, 29, who has been aligned with the ALP, will challenge sitting councillor Paul Gleeson, 43, and was once a member of the LNP. Prior to nominations closing, lobby group Redlands 2030 issued flyers indicating preferred candidates as Greg Underwood, Wendy Boglary, Craig Ogilvie, Paul Golle, who did not authorise his name to be on the flyer and said he was not aligned with any lobby group, Lance Hewlett, Melanie Lavelle-Moloney and Paul Bishop. Candidates associated with mayor Karen Williams include Julie Talty, Paul Gleeson, Alan Beard and Mark Edwards. There are two candidates for the position of Redland City Mayor when the election is rolls in on March 19th: the incumbent, Mayor Karen Williams, and Greg Underwood, who was General Manager for Planning at the Redland City Council from 2005 to 2011. Ms Williams is serving in her first term as mayor and will be standing for re-election for the first time. Both Cr Williams and Mr Underwood will each address the audience for 20-minutes, after which a Q&A session will follow. It will be a great opportunity to ask both questions that matter to you in time for the election on Saturday, 19th March. The event is hosted by the Redland Chamber of Commerce and will be held from 6:45AM on 16th March at the Gallipoli Room, Redlands RSL, 8 Passage Street, Cleveland. Tickets are $35 members; or $45 non members. Register at https://goo.gl/APOnfK if you wish to attend this event.